My love for Persephone Press began when I came across one of their books in a charity shop in Swanage. ‘Miss Pettigrew lives for a day’ by Winifred Watson is a funny, life affirming tale of a ‘middle aged’ governess who becomes swept up in the hedonistic – and dramatic – lifestyle of a nightclub singer in 1930s London. It is certainly of its time (with casual references to cocaine) but it is also an enjoyable read. 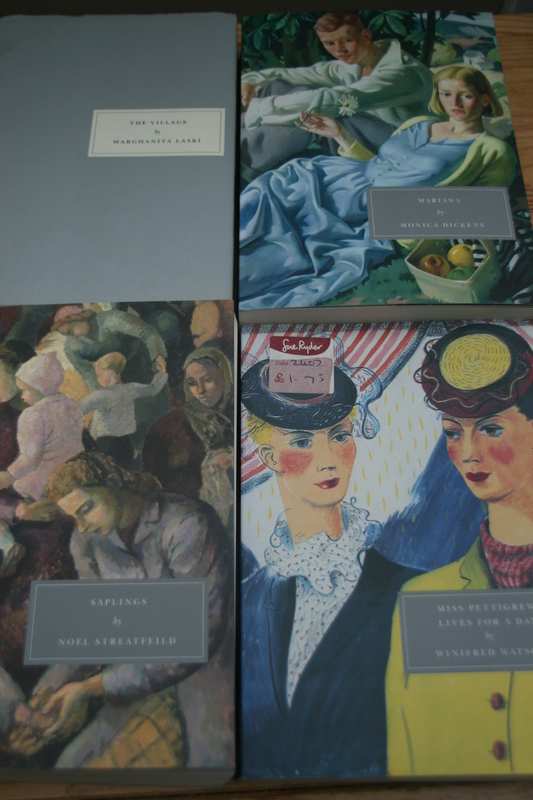 Originally written and published in 1938, Persephone Books reprinted the novel in 2001. The aim of the publishing house is to reprint novels from the mid 20th Century that have been largely forgotten, or out of print. Although they focus on female writers they also feature male authors, such as Leonard Woolf. They include some authors who may be better known for their children’s books, such as Richmal Crompton (creator of the ‘Just William’ series), Barbra Euphan Todd (Worzel Gummidge) and – my favourite – Noel Streatfeild. When I was a child I loved Streatfeild’s series of ‘Ballet Shoes’ and I have to say that Persephone Books’ reprint of her grown up novel, ‘Saplings’ is one of the best books I have read for ages. Originally published in 1945 it is a heart-breaking story of how war affects the lives of four siblings. The Guardian said of it: “…A book that belongs in the archives of the Imperial War Museum..” and I agree. Many of the Persephone Press novels that I have read focus on the Second World War and, in particular, women’s experience. I would recommend ‘Marianna’ by Monica Dickens (the novel begins at the start of WW2 then returns to the tale of the protagonist’s childhood); ‘Good Evening, Mrs Craven’, a collection of tales from the homefront. 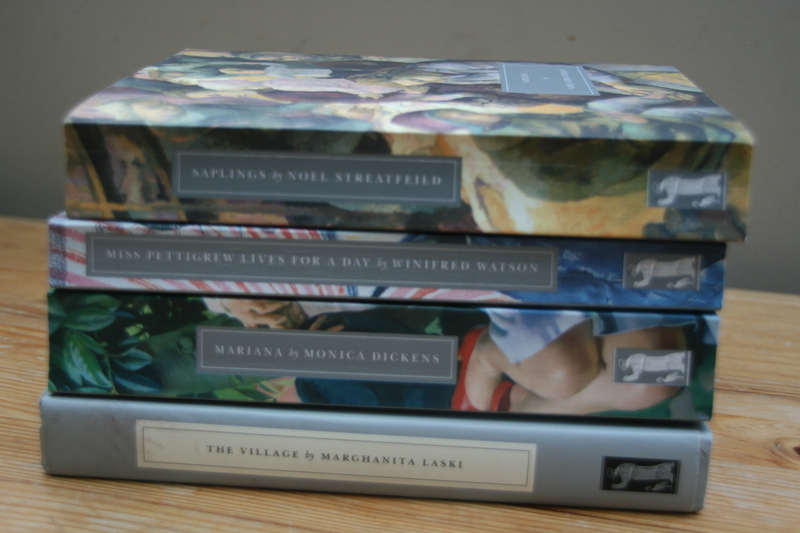 For the period just after the war, when the pre-war social order was trying to re-establish itself and the continent of Europe was still in upheaval I would recommend Marghanita Laski’s novels: ‘Little Boy Lost’ and ‘The Village’. I rarely buy books, in an attempt to keep control of our bookshelves. I have written before about only keeping those books which I truly love and know I will read again. The books of Persephone Press are my one bibliophilic treat. While they are a hefty price (£9-£14) I have never been disappointed by any that I have read. They also have the most beautiful design and can truly be judged by their covers.